This item is selling for $8.25 on eBay. This ribbon works with the Ativa AT-P3000, AT-P4000 and AT-P6000 calculators. Swartz Ink offers the best quality and freshest product available. All of our products are unconditionally guaranteed. If you don’t see what you need email or call us and if we don’t have it we can probably get it. Our main focus is ribbons and ink rollers for calculators, cash registers, pricing guns, printers, time clocks and typewriters. 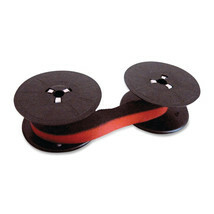 All of Swartz Ink Products ribbons and ink rollers are high quality compatibles (Non OEM) unless otherwise noted. All references to OEM (Original Equipment Manufacturer) registered or trademarked names are for identification purposes only and are not in any way associated or affiliated with Swartz Ink Products.